The terms and conditions of Van den Broek Retail on the webstore will appear when you order an article. You will be asked to accept these terms and conditions to complete you order. 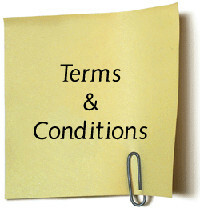 These terms and conditions can also be downloaded from this page. To download these conditions you click on the picture (hyperlink) after which the file will be downloaded and you can store it on your computer (or print the file).